Ear Clean Clinic is the first dedicated microsuction ear wax removal clinic in the Illawarra. Microsuction is an ear cleaning technique using a microscope and suction device. It is the same technique used by Ear, Nose and Throat specialists and is superior to other methods such as water syringing (higher risks of ear drum trauma and ear infections) and ear candling (limited evidence on effectiveness). Microsuction is safer, gentler, more effective, and does not require water or pre-visit ear wax softeners. 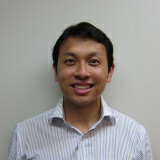 Dr Tang is a GP who has been providing medical services in the Illawarra since 2012. He previously worked at the Royal Victorian Eye and Ear Hospital in Melbourne and received extensive training from Ear, Nose and Throat specialists. He graduated in Medicine and Surgery with Honours at the University of Sydney in 2008. He speaks fluent Cantonese. Ear Clean Clinic is appointment based. Appointments can be made online (Click Here). Alternatively, you can call 02 4254 5313 (business hours only) to make an appointment by phone. No referrals are required. Lift and wheelchair access is available.